Invariably, the conversations on elections amongst Africans at home and in the diaspora centre on supposed Republican party candidate Donald Trump and the fears that he represents regarding the November 2016 USA presidential election. If Africans could vote from wherever they are, Mr. Trump would lose massively. His divisive rhetorics, ill-informed attacks on minorities and immigrants, and his lack of tolerance for differences run counter to the nature of Africans. Suddenly, the USA seems like a scary place, full of hate. The presumptive democratic party candidate Hilary Clinton looks like a goddess who brings rains during a serious drought, in comparison to Mr. Trump. Whilst the world and Africa’s attention is on the American election, two other elections that have as much implication on African economic, political and social well-being are in full steam. The new Chairperson of the African Union Commission (AUC) will be decided in a few days (alongside the commissioners), and a new Secretary General (SG) of the United Nations (UN) will be known in a few months. Both of these offices can and should serve Africa’s interests and heighten Africa’s voice in local and global affairs. The African Union (AU), the highest political platform of African heads of state and government, meets in July in Kigali, Rwanda, to elect the Chairperson of the AUC. The post, currently occupied by former Foreign Minister of South Africa, Dr. Nkosazana Dlamini-Zuma, became vacant when she decided not to go for a second term. In a heated contest in 2012 against then incumbent Chairperson, Mr. Jean Ping, former Foreign Minister of Gabon, Dr. Dlamini-Zuma won after a third round of voting, and a deadlock that took two summits to resolve. If Dr. Dlamini- Zuma is leaving the office to pursue other political interest at home, she is not saying. But her political path over the past forty plus years indicates that she is not retiring yet into the sunset, and the African Union has served only as a step towards the longer term interest. After her four-year mandate, the AUC is perhaps a little different from when Dr. Dlamini-Zuma took over as Chairperson. One of her major achievements is the formulation and agreement on Agenda 2063, a far-reaching strategy for economic and social development of Africa. As the first woman to hold the post, her election also represents a leap forward on gender matter in the continent, and she is said to have championed advancement of women in the organization and in continental affairs. The expectation that she would bring major transformation to bear in the organization has not happened. The Commission continues to be hobbled by limited funding to lead on its key programmes, including its peacekeeping functions. Whilst contributions from within Africa has not improved, some of the key donors have withdrawn their support due to dissatisfaction with AUC’s processes. Its heavy reliance on external financing means that its “African-ness” continues to be questioned. The structure of the Commission curtails the authority of the chairperson over the elected Commissioners who as heads of all key departments owe allegiance to their countries, regions and constituents rather than to the head. The unattractive working conditions and remuneration of staff makes the Commission a poor partner in the linked network of African key institutions that include the United Nations Economic Commission for Africa and the African Development Bank. These limitations persist and await the next chairperson’s possibly high level managerial know-how and political weight to resolve. Yet it is doubtful that the search for the new head had seriously sought for a set of competences that would yield such a result. The short list of three proposed candidates available as at the stipulated three month date prior to election are: Foreign Minister of Equatorial Guinea, Mr. Agapito Mba Mokuy, 51; Botswana’s current Minister of Foreign Affairs and International Cooperation, Dr Pelonomi Venson-Moitoi, 51; and former Ugandan vice-president, Dr Speciosa Wandira Kazibwe, 60. Murmurs of discontent with candidates have come from regional groups and countries. It is unlikely that any one candidate among the three can garner the two-thirds votes of countries that are required to be elected to the post. The depth of displeasure is visible in the fact that outside of the closing date for the post, Senegal nominated another candidate, Dr. Abdoulaye Bathily, currently UN Special Representative for Central Africa and former minister, for the post of Chairperson. In anticipation of a deadlock where no candidate emerges at the end of the Kigali summit on July 17, several scenarios are possible. Dr. Dlamini-Zuma may be asked to continue for a specified time until another summit is held. Or it is likely that Algerian Minister of Foreign Affairs, Mr. Ramtane Lamamra, and former Tanzanian President, Mr. Jakaya Kikwete are proposed to act in the interim. Should the entire process of nomination be reopened, many more candidates may join the race. How important is the post of Chairperson? There are two strong views. One states that it is a glorified office of a titular super secretary who manages egos and interests of heads of state, and who cannot be assertive or determined. There are stories of conflictual decisions by the Chair (sometimes also called Chairperson) of the African Union, a ceremonial role which is held in rotation by a Head of State for a year, and the Chairperson of the AUC. It is unwritten but assumed that when a head of state decides, the Chairperson can only obey and implement. Even when Mali’s former head of state, Mr. Alpha Konare, was Chairperson of the Commission, Nigeria’s former President Olusegun Obasanjo, as Chair of the AU in 2005 overruled Mr. Konare’s unilateral appointment of an envoy to mediate the crisis in Togo. An opposing view is that a diplomatic, bold and visionary Chairperson of the AUC can use the office to effect progress both for the organization and for the continent. Mr. Ping is said to have been able to make the Commission more effective thanks to his ability for engaging heads of state and using diplomatic incisiveness to get agreement. That the success attributes were not enough to get him re-elected to a second term raises several issues though. Meanwhile, for the first time in its 70-year history, the United Nations is conducting election of the Secretary General in an “open and transparent” manner. As the symbolic head of the UN, the SG serves as both its top diplomat and its chief administrative officer. The holder of the post makes pronouncements for an organization with 30 separate agencies, funds and programmes and 40,000 staff. He or she reports to 193 member states. 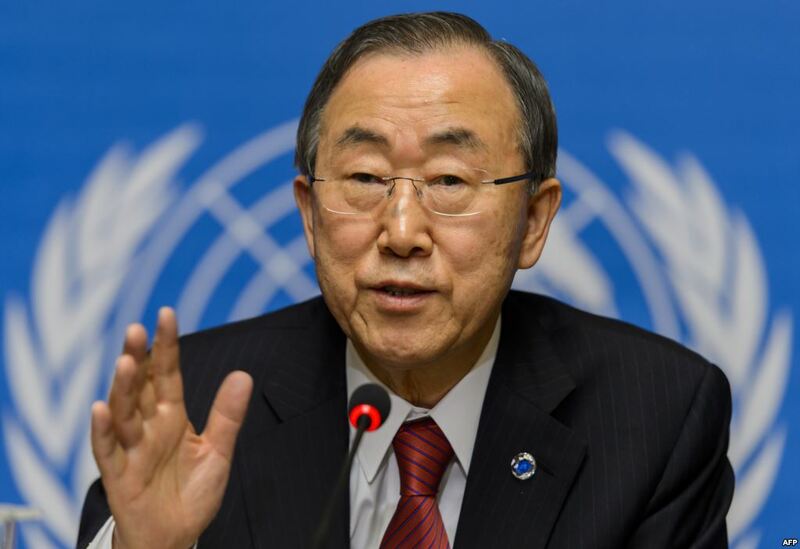 As part of the preparation for the election that will announce a winner before current SG Mr. Ban Ki-moon leaves office on the first of January 2017 after two terms of four years each, a new style of involving interests and groups has started. In April, the UN put aside its traditional secrecy of the process and asked all candidates to face the public. For two hours, each of the eight candidates was questioned by member states. The process has continued and includes new candidates as they apply. On July 12, a town hall meeting of candidates, staff of the UN, observers and member countries was live streamed by Al Jazeera network and was on various social and traditional media worldwide. All candidates for the post have to post their curricula vitae online . A vision statement of 2,000 word was also required to be put online by candidates to articulate their positions. The list of candidates are: Ms. Irina Bokova, Bulgaria, Director-General of UNESCO; Ms. Helen Clark, New Zealand, Administrator of UNDP, former Prime Minister; Ms. Christiana Figueres, Costa Rica, Former Executive Secretary of the UN Framework Convention on Climate Change; Ms. Natalia Gherman, Moldova, Former Deputy Prime Minister and Minister of Foreign Affairs; Mr. António Guterres, Portugal, Former UN High Commissioner for Refugees and former Prime Minister of Portugal; Mr. Vuk Jeremić, Serbia, President of the Centre for International Relations and Sustainable Development, former Minister of Foreign Affairs; Mr. Srgjan Kerim, Macedonia, Former Foreign Minister and former President of the United Nations General Assembly; Mr. Miroslav Lajčák, Slovakia, Minister of Foreign and European Affairs ;Mr. Igor Lukšić,Montenegro, Deputy Prime Minister and Minister of Foreign Affairs; Ms. Susana Malcorra, Argentina, Minister of Foreign Affairs; Ms. Vesna Pusić, Croatia, Former Deputy Prime Minister and Minister of Foreign Affairs; Mr. Danilo Türk, Slovenia, Chair of the Global Fairness Initiative, former President of Slovenia. Besides the search for top candidates, two major issues are at stake – the election of a woman into the revered position is a popular demand, and the region of choice should be Eastern Europe which has never produced a Secretary General. To date, two Asians, two Africans (Mr. Kofi Anan and Mr. Boutros Boutros-Ghali), one Latin American and three West Europeans have held the post. He added that “anyone who was watching the dialogues could see which candidates are best suited for the job and which are not… How would the world react if the Security Council recommends a candidate who most would deem to have been among the poorest performers in the SG Hearings? “ The process has also confirmed what member states wanted from a candidate for the job, he affirmed. Despite the transparency, the final decision will follow tradition – the five permanent members of the 15-nation Security Council — the United States, Russia, Britain, China and France — will agree on a candidate and give the name to the General Assembly to assent formally. But it is unlikely an obvious laggard in the public appearances would be decorated in private with the title of UN Secretary General. Unlike the AUC which already has a female head, the UN has never had a female SG and that will be a big win if one emerges in 2016. Lessons abound for the election of chairperson and leaders of the AUC from the ongoing SG identification process. Such an approach ensures more transparency, inclusiveness and openness. By interrogating candidates in public, there is bound to be enthusiasm by people. It will result in some level of familiarity with, and ownership of the organization. It will also confirm that there is at least an attempt to give the African continent the best leader to head its apex political organization in a democratic way, with a keen eye on performance. ← MOHAMMAD ALI: THE LAST OF THE CAMELOT GIANTS. A TRIBUTE.